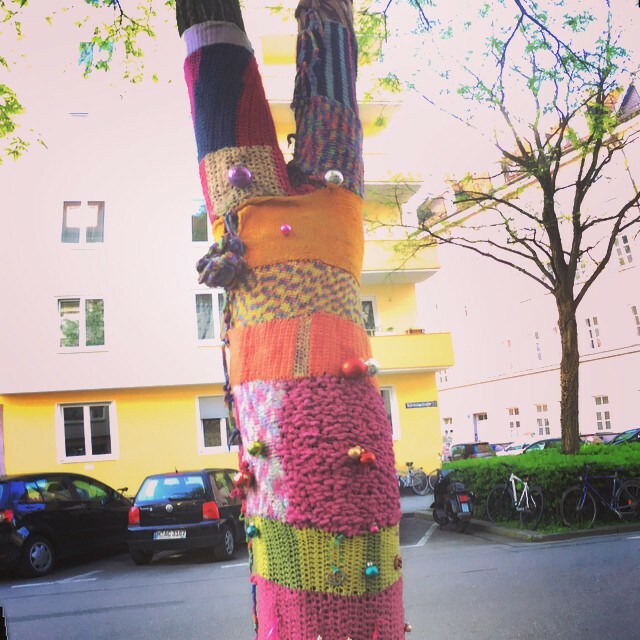 Today I walked to get a cup of coffee And passed this yarn-bombed tree. The next photo is the best part. It represents for me the hotel California feeling I get about Munich. You can check in any time you want but you can never leave. If you need clarification of this idea, you will need to visit me at Frauenstrasse 18.